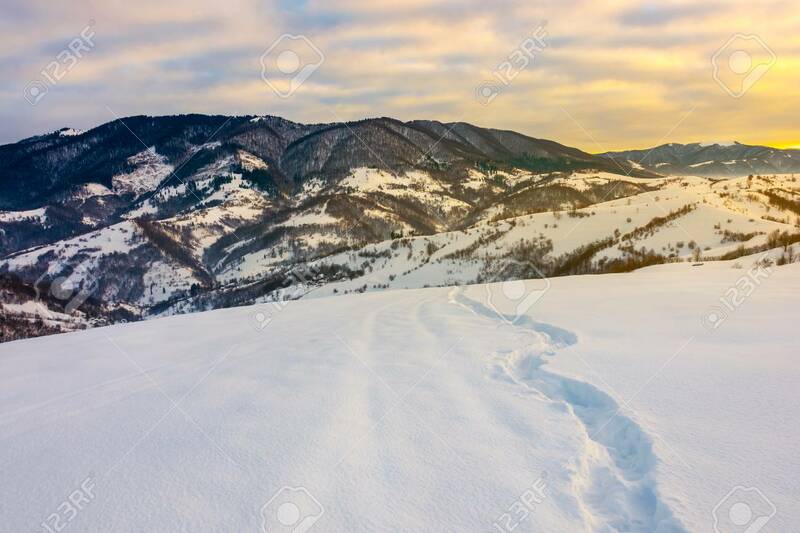 Winding Foot Path Through Snowy Slope In Mountains. Gorgeous.. Stock Photo, Picture And Royalty Free Image. Image 113389055.